P&P will be added when you add your product to the Shopping Cart. The Shopping Cart will show here once the first product is added to it. 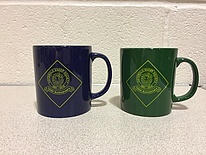 Standard P&P = £3.75 with £0.50 added per mug to take account of their additional weight. If you require First Class P&P, please add this “product” to your basket. Orders over £30 are eligible for FREE P&P.